You guys! 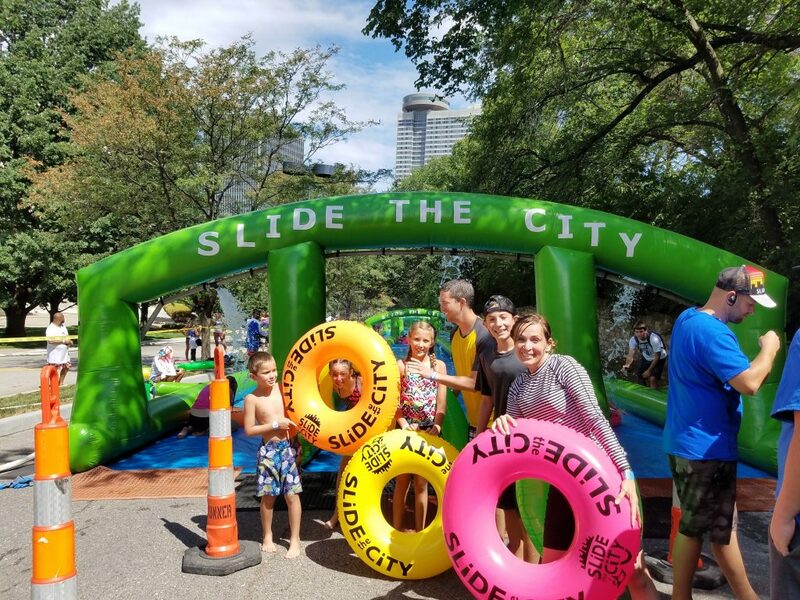 We have been looking forward to Slide the City ALL SUMMER – it was the highlight on our family’s summer bucket list. It finally came time to try it out this past Saturday, and it was SO. MUCH. FUN. 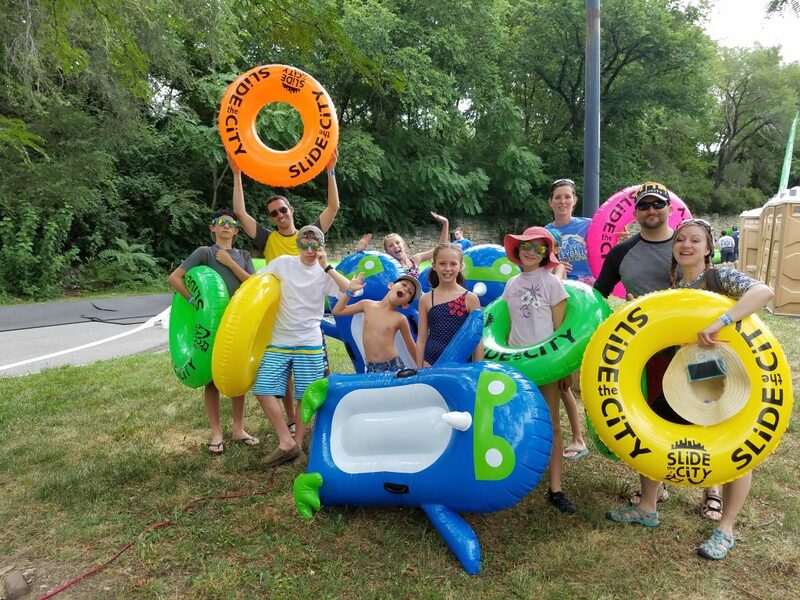 We had a blast, and it lived up to all our dreams! 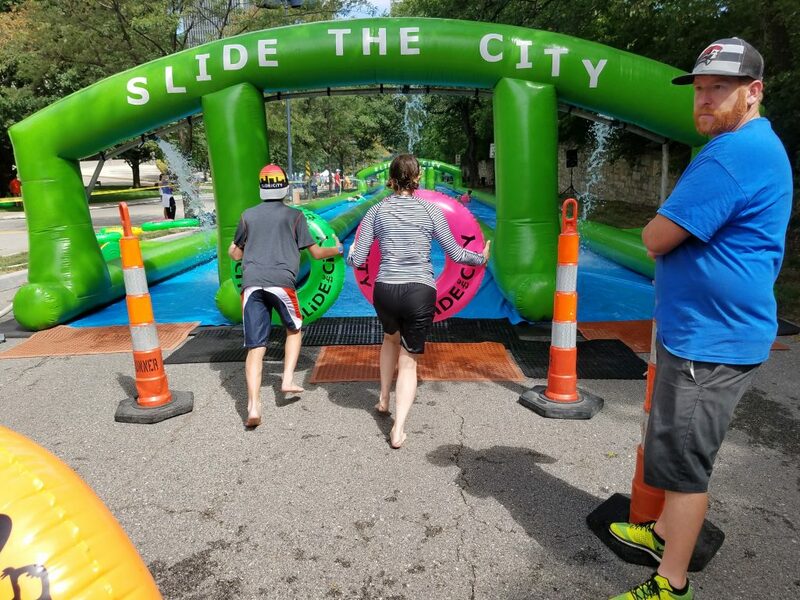 Check to see if Slide the City is coming to a city near you!!! –FRIENDS – everything is more fun with friends, and this is no exception! 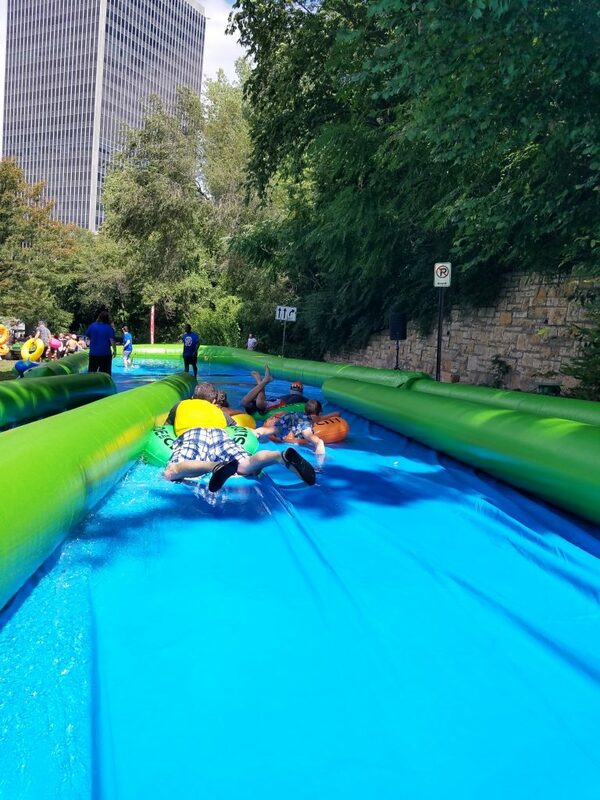 We invited family to join us and the kids had a blast sliding with their cousins. So so fun. 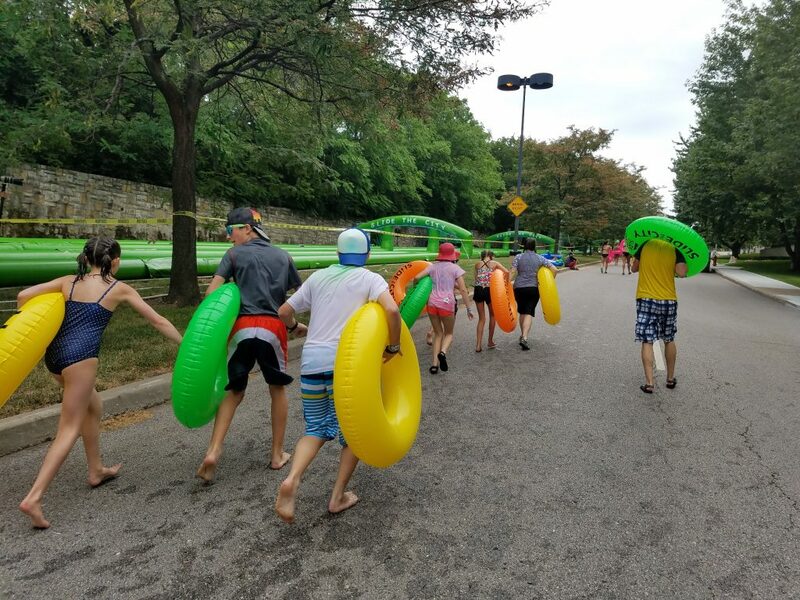 –KIDS – YES, you can take kiddos. They’ll have fun! 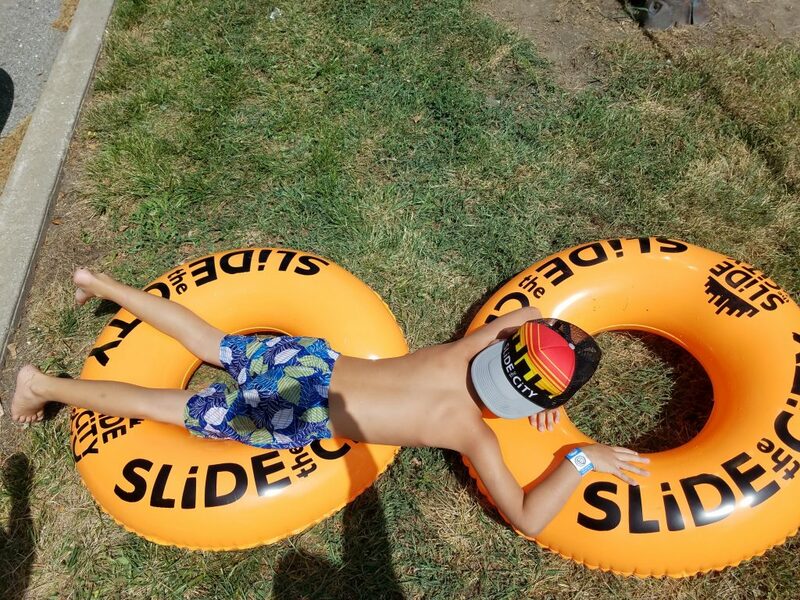 My youngest is 7 and he was completely capable of sliding down, no problem (although sometimes I would need to give him a push-off). 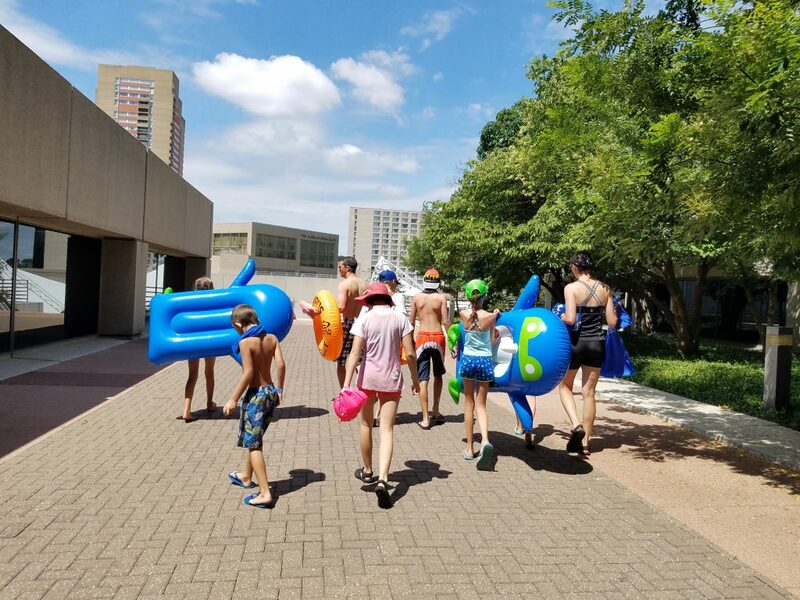 Being a proficient swimmer isn’t an issue – the water isn’t deep anywhere. I think (according to the website) kids need to be at least 5 years old. 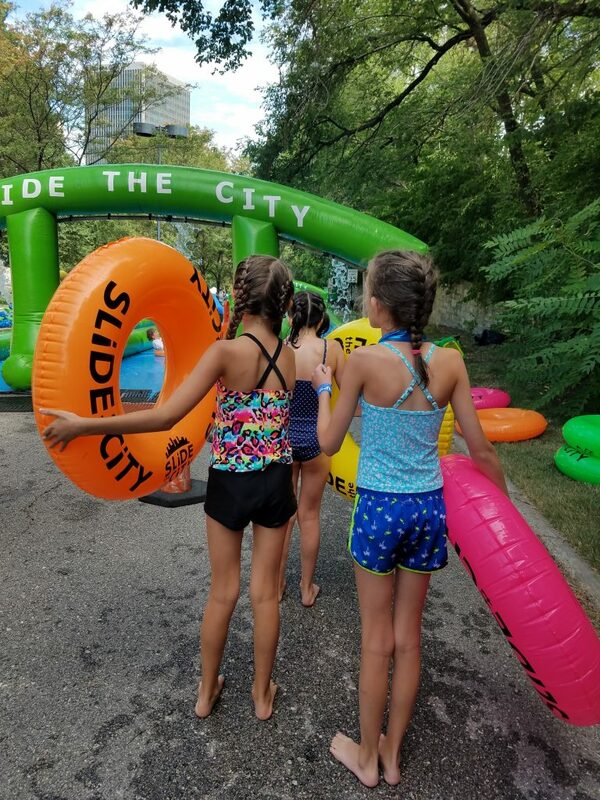 –TUBES – our tickets (the Ultimate Sliders) came with FREE tubes – they worked great! 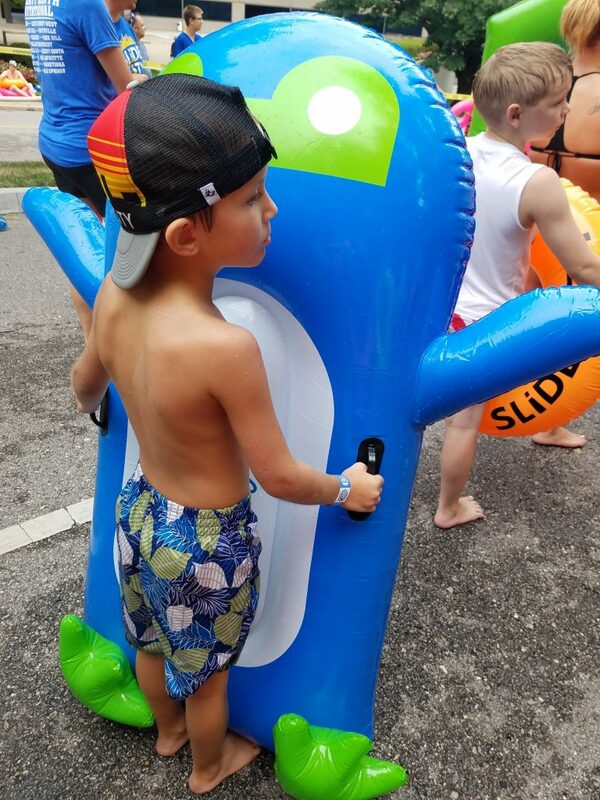 You can bring your own inflatables, but it seemed like the ones that worked on the slide the best were the good ole tubes. Be prepared to blow it up – – there were air compressors there, but one went out so there was only one running and the line was kind of long. 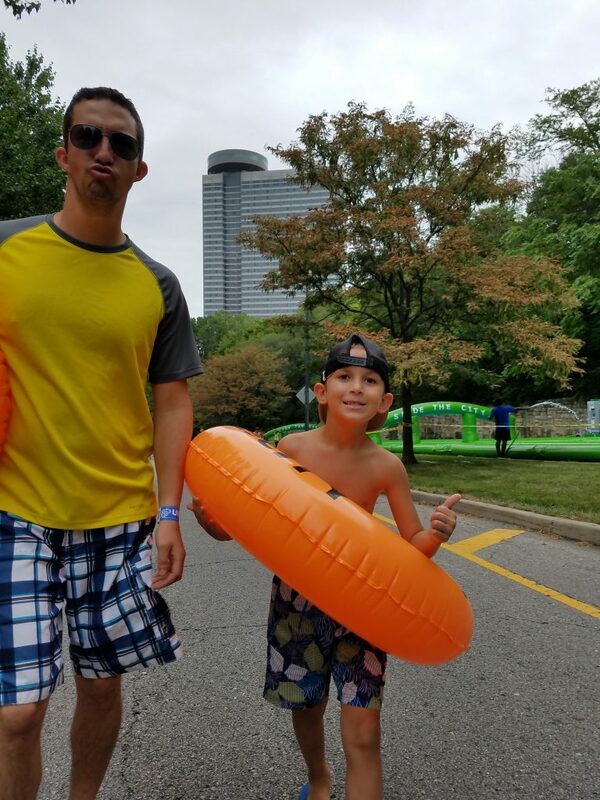 –SHOES – we were unsure what kind of shoes to wear – strap-on sandals are a good choices (like Tevas or even water shoes). 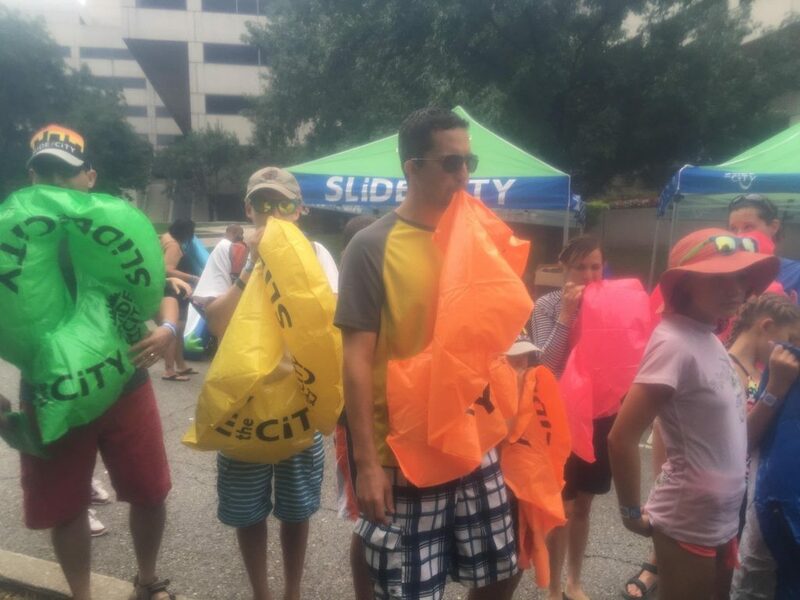 Lots of people (including some of us) wore flip flops, but they come off when you’re sliding. Those of us who wore flip flops ended up taking them off and walking barefoot around the street. –STUFF – we ended up having a pile of stuff on the side on the ground, and it was fine, no one messed with it or anything. 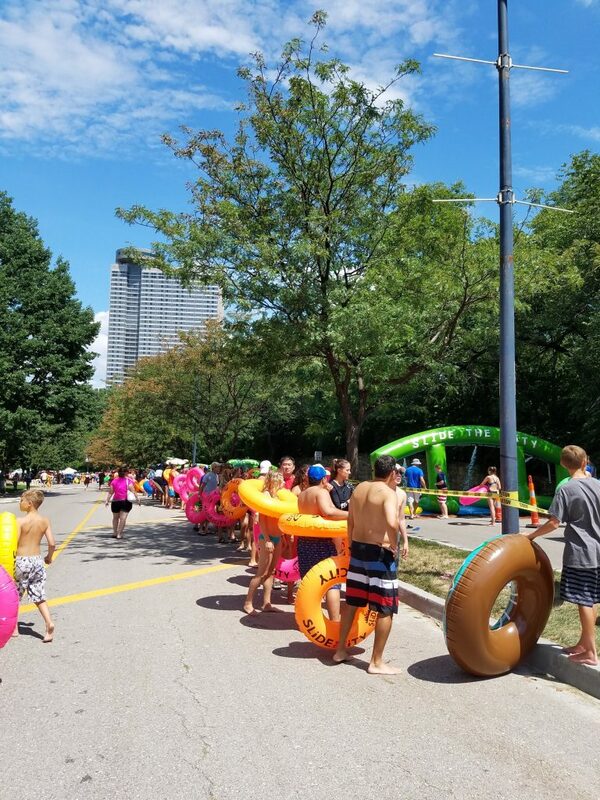 Not sure if that would work in your city in not, but it worked for us. 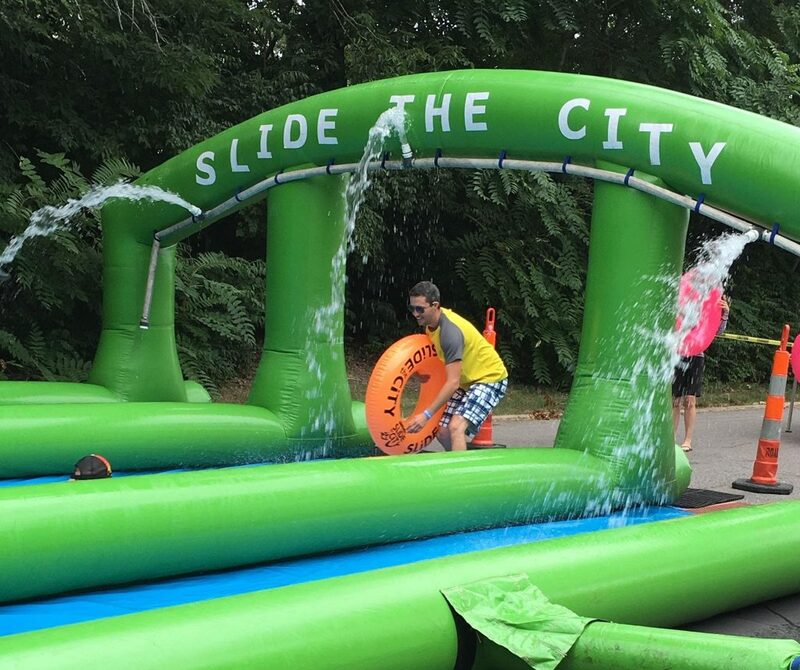 Another option is to bring someone with you who isn’t sliding – they can still get really close and be part of the fun without actually going down the slide. Plus they could camp by your stuff. You could also ride down with a drawstring bag on your back without any problem. 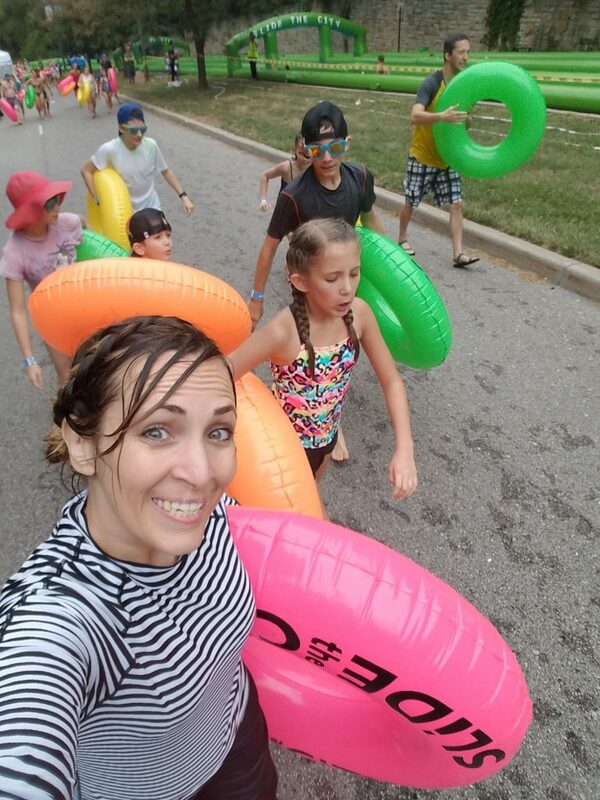 –Ziplock Bags – if you end up going down the slide with a bag or whatever, your stuff is going to get wet – we had ziplock bags for our phones and wallets so that they would stay dry. –CAMERAS – you’re going to want a way to take pics!! luckily I have a phone that is water resistant (yeah for Galaxy!) 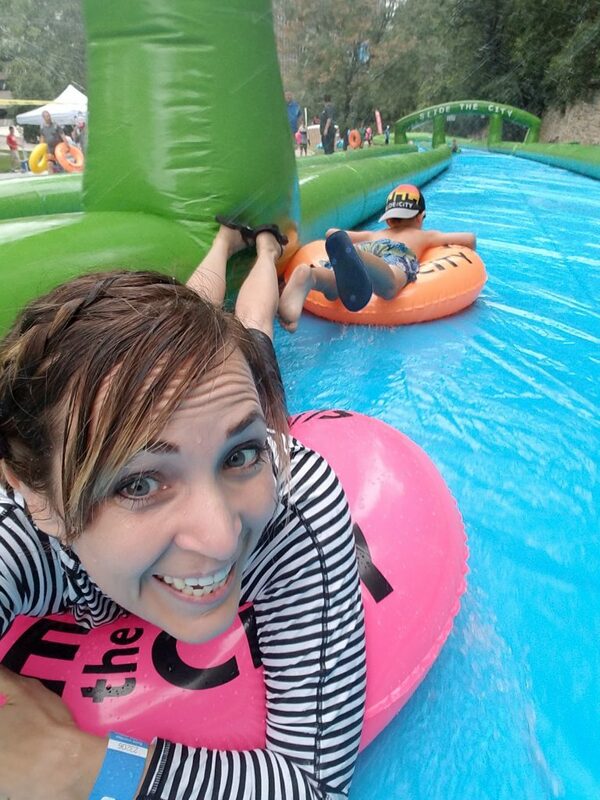 and I just took pictures as I was sliding down, etc. Lots of people had Go Pros with them or even waterproof cameras. 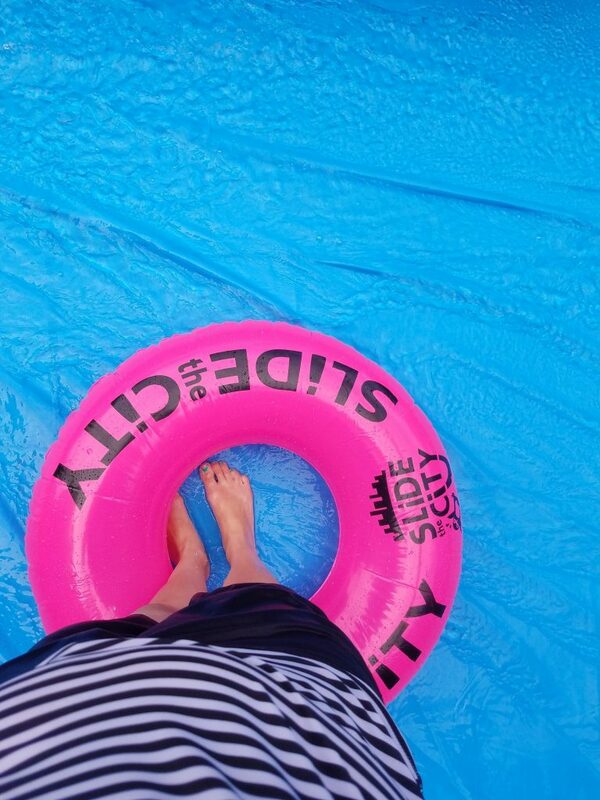 –SLIDING – it’s easy! 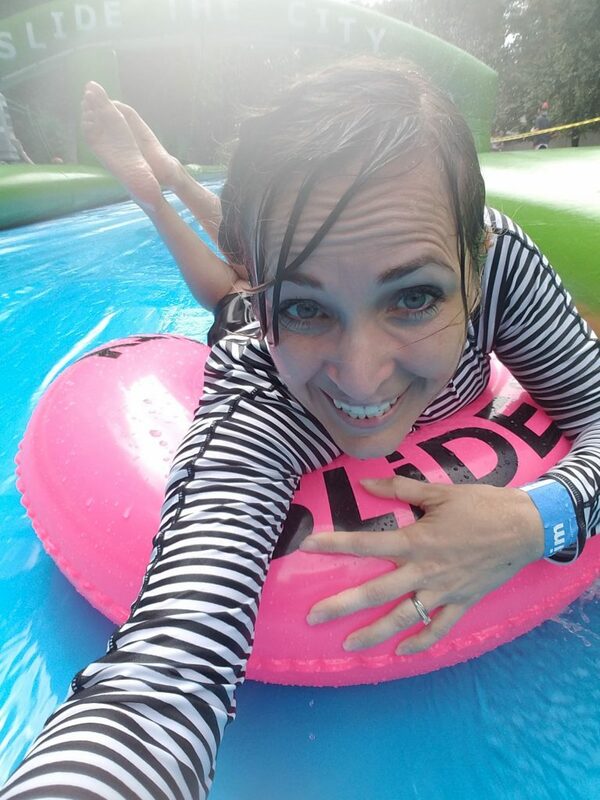 you just kind of take a running start then jump onto your tube and head on down. It’s actually faster than you think it’s going to be if you get going. Bigger people tend to go faster, so sometimes they would bump into the kids if the kids had slowed down. Try all the lanes! Some of us loved the right, some of us loved the middle, and some of us loved the left! –REPEAT – I thought it would take forever and ever to walk from the end back to the start, so I thought we’d only get to ride a few times. Well the walk back wasn’t long at all – we were there a couple of hours and I bet we rode it 10-15 times. SO. MUCH. FUN. We really had a blast! We’ve done tons of fun races with our family, which are great, but I think I loved this even more! 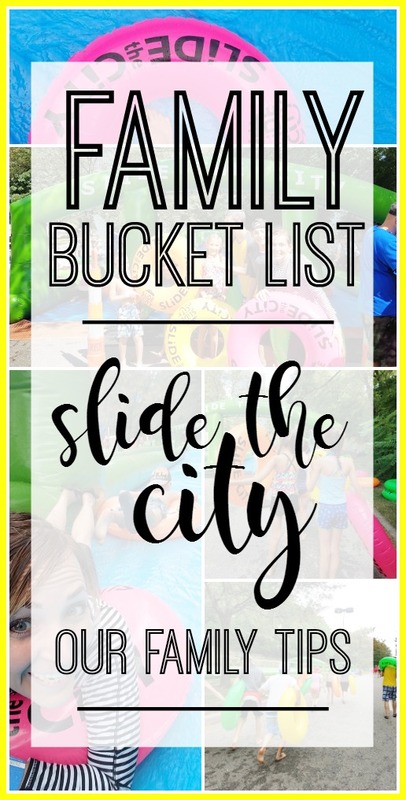 I know it’s something the kids will remember forever and ever – a highlight of summer for sure! Have 1 minute spare?? Cause I put together a quick highlight video picture and video recap – enjoy! 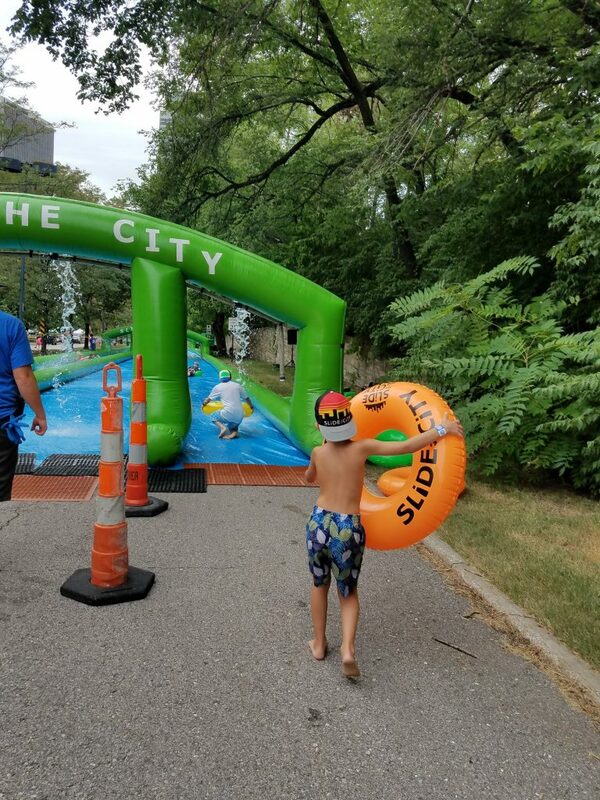 We give Slide the City two thumbs up! !